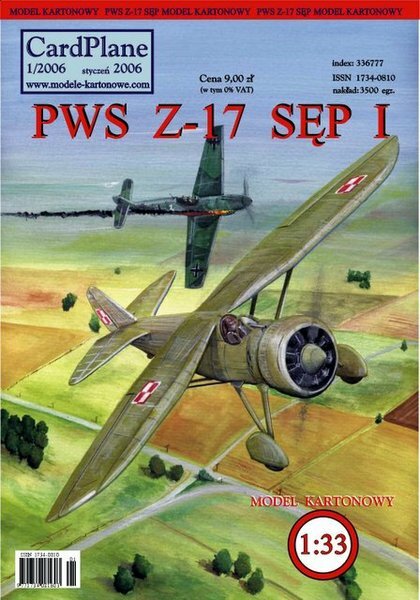 Model of the Polish Air Force experimental fighter (1932) - PWS Z-17 in 122nd Fighter Squadron fictional markings (Kraków). Model average difficult. Due to the long storage period, copies may have chafing covers. Here you can download extra parts for this model.